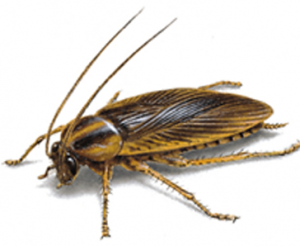 American cockroach also colloquially known as the water bug but not a true water bug since it is not aquatic or misidentified as the palmetto bug is the largest species of common cockroach, and often considered a pest. It is also known as the ship cockroach. 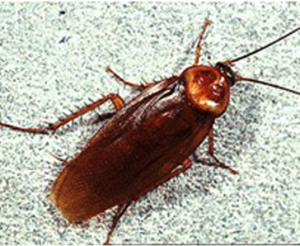 Brown-banded Cockroach is a small species of cockroach, measuring about 5⁄8 in long. It is tan to light brown and has two light-colored bands across the wings and abdomen; they may sometimes appear to be broken or irregular but are quite noticeable. The male has wings that cover the abdomen, while the female has wings that do not cover the abdomen completely. 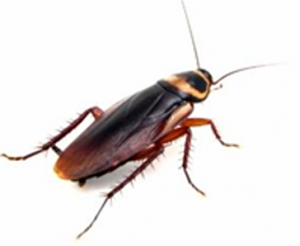 German cockroach is the cockroach of concern, the species that gives all other cockroaches a bad name. It occurs in structures throughout Florida, and is the species that typically plagues multifamily dwellings.